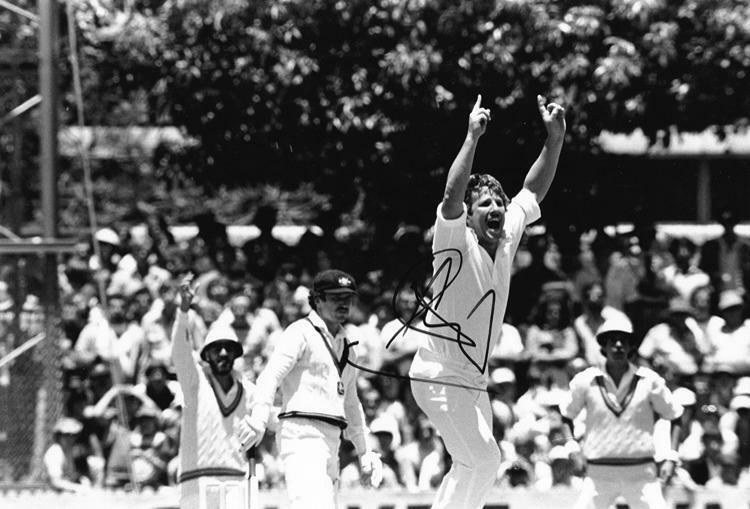 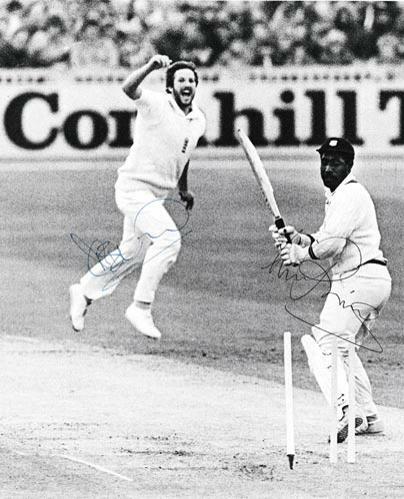 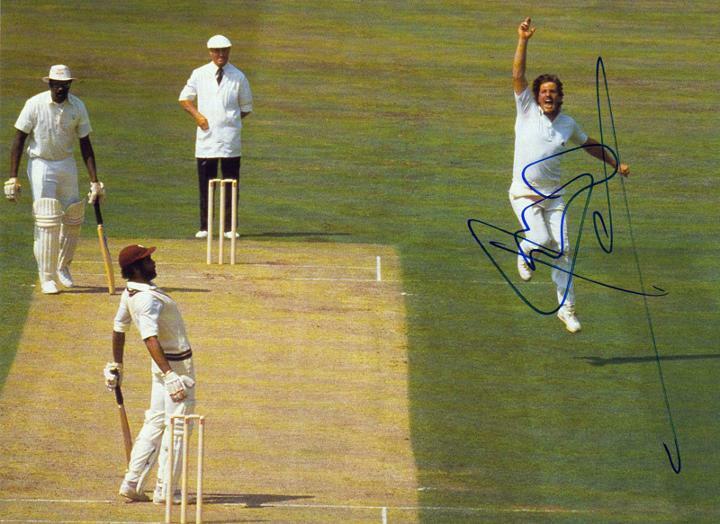 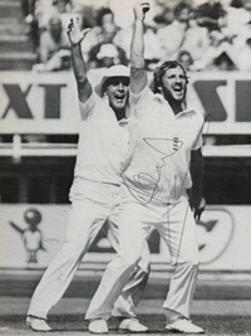 Multi-signed B&W England v West Indies cricket pic, showing Botham clean bowling Richards during the 1980 Test series. 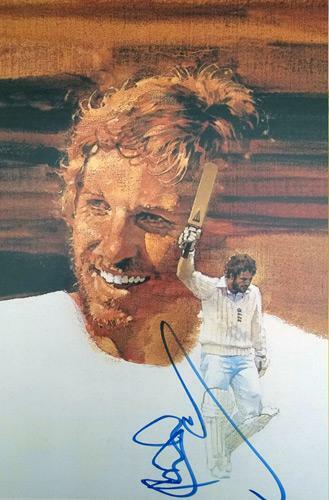 Signed "Lord's Taverners Fifty Greatest" book plate. 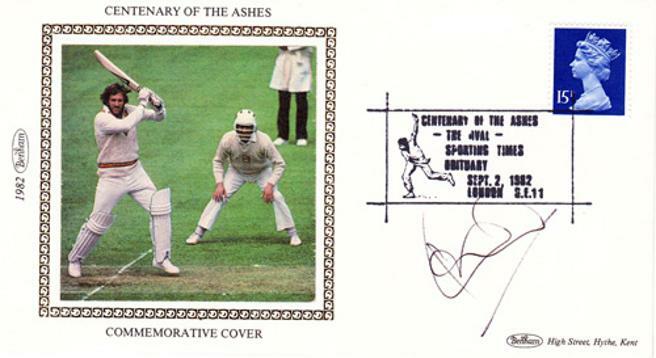 Autograph laid down with John Ireland book plate. 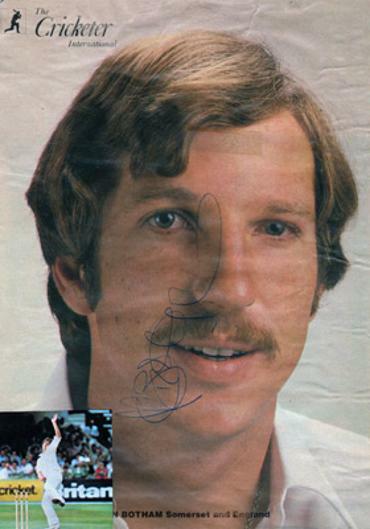 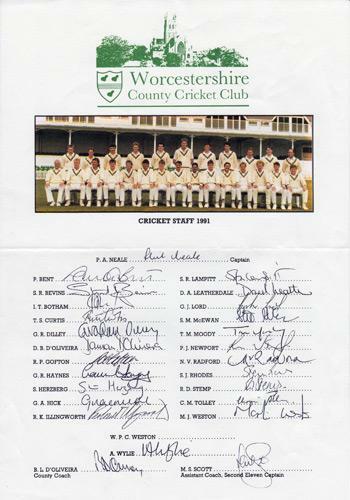 signed 1986/87 Cricketer mag pic. 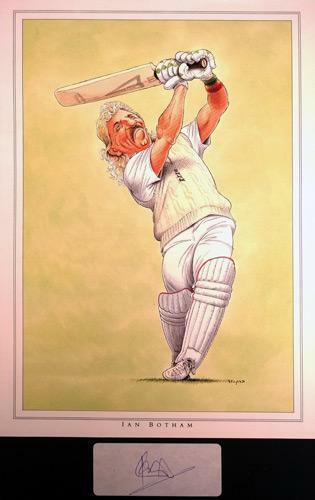 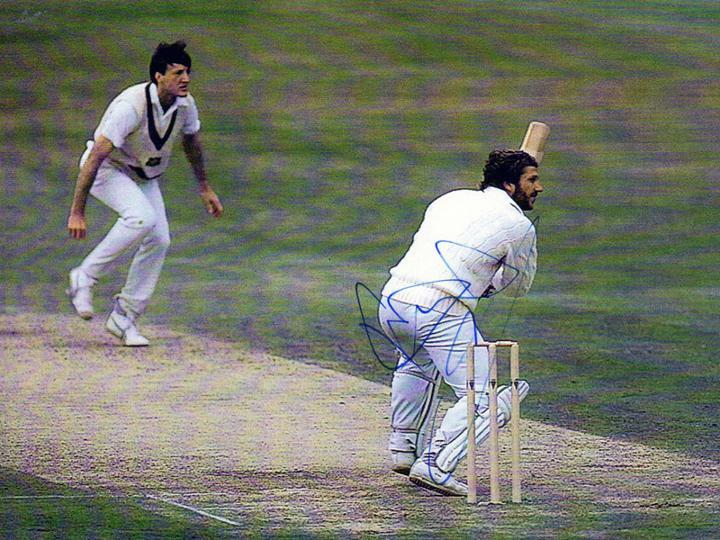 Signed colour pic of Botham batting during his innings of 118 v Australia in the 1981 Ashes Test match at Old Trafford. 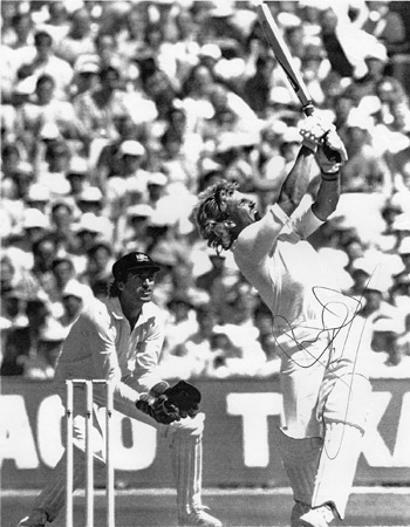 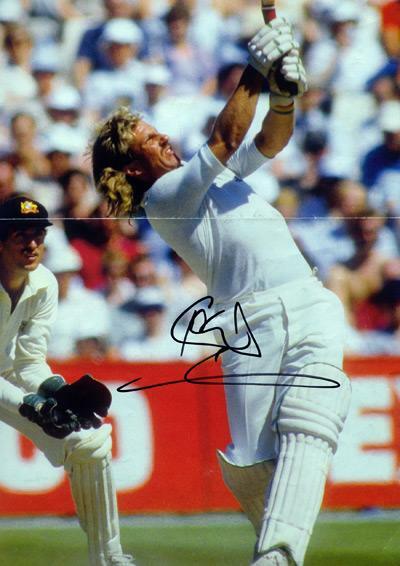 Signed B&W pic of Botham batting during his innings of 149* v Australia in the 1981 Ashes Test match at Headingley. 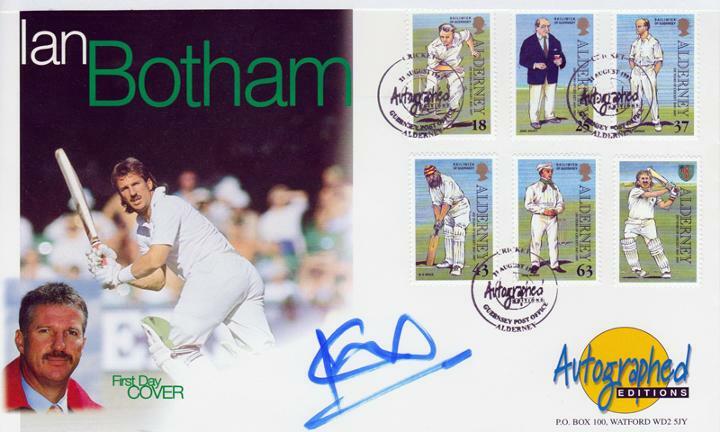 Harold Larwood, John Arlott, Pelham Warner, WG Grace, John Wisden and Sir Ian Botham. 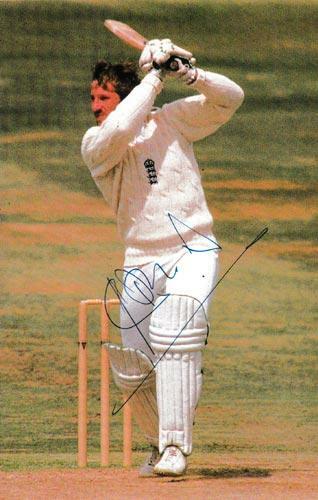 Colour photo of Botham batting. 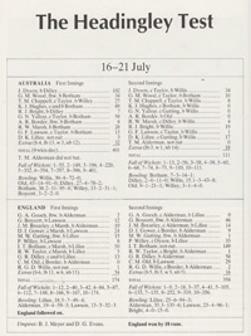 bowling against the West Indies. 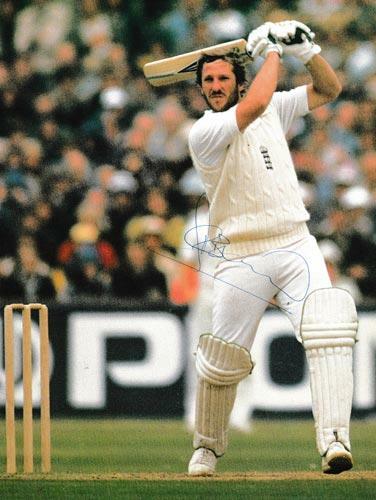 Signed colour pic of Botham batting during his innings of 149* v Australia in the 1981 Ashes Test match at Headingley. 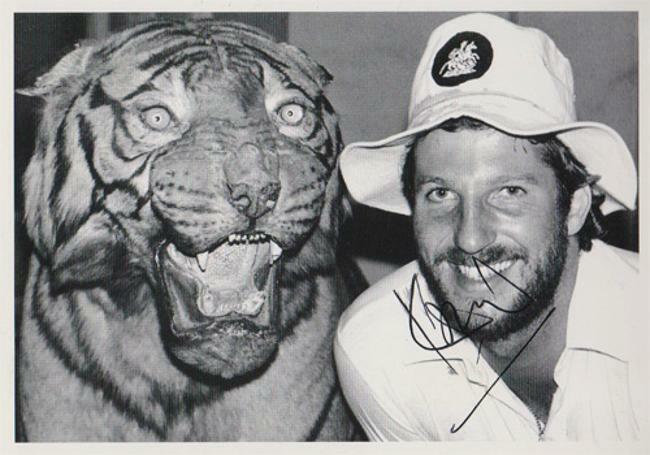 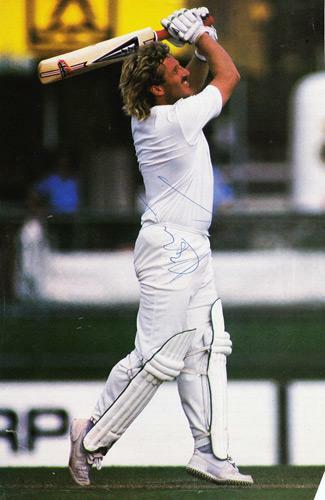 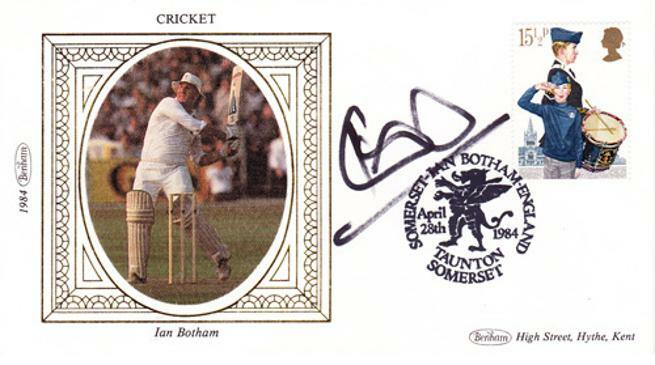 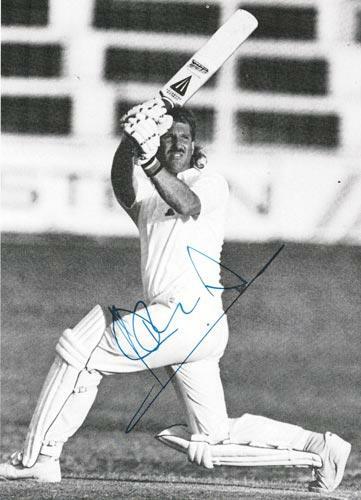 Signed B&W pic of Botham batting for England. 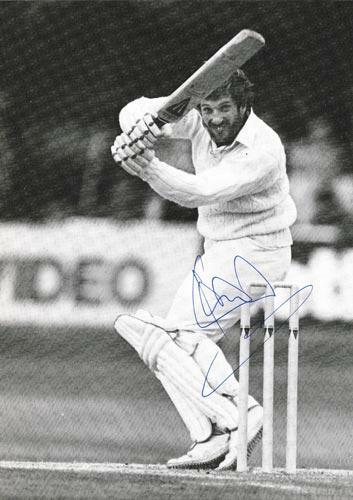 Signed 12x8" B&W Ashes photo. 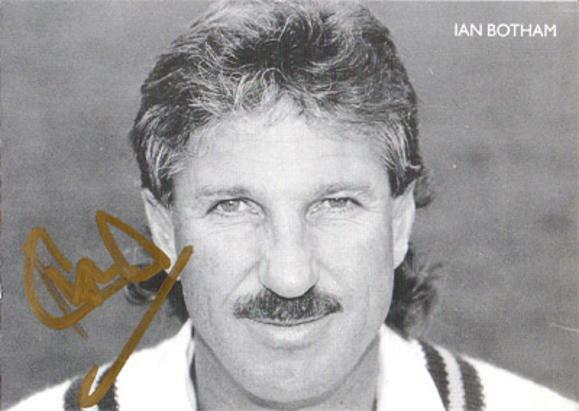 Signed B&W portrait photo card. 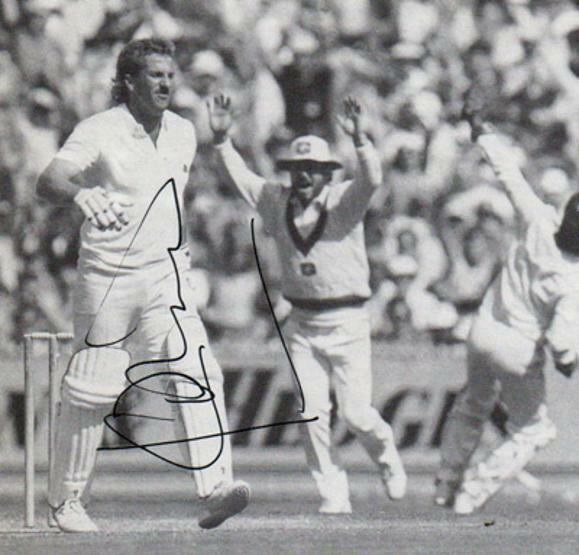 Signed B&W book pic of Botham walking off after being dismissed in the 1981 Ashes series. 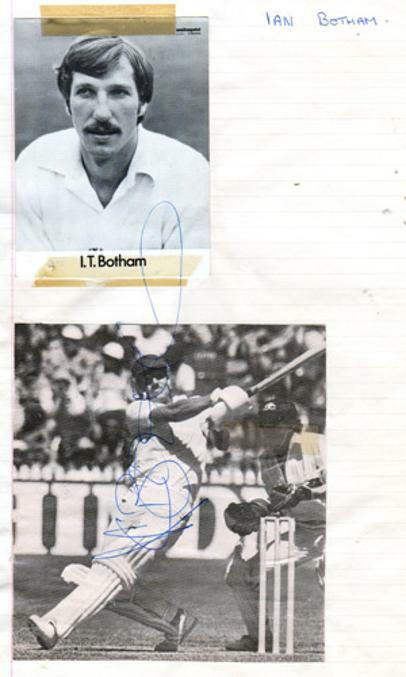 + small action pic attached to bottom left. 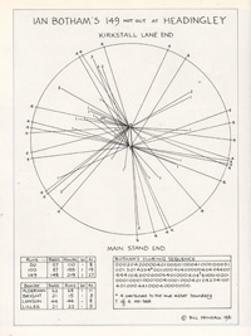 laid down on A4 lined paper. 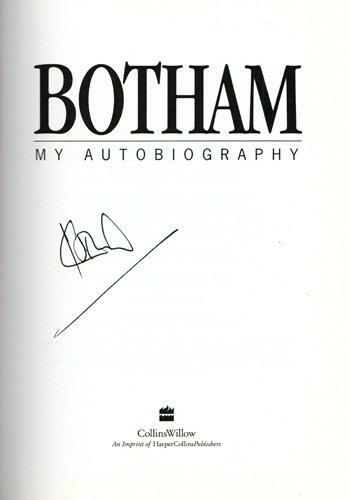 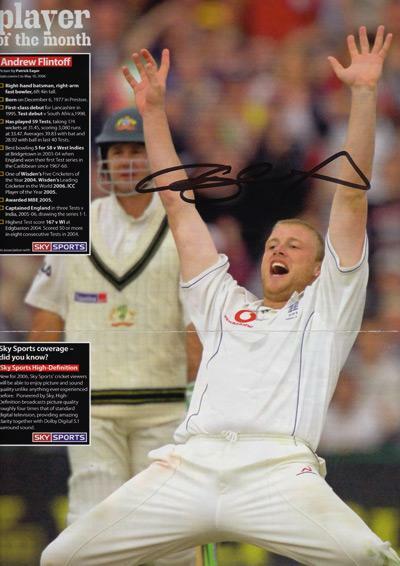 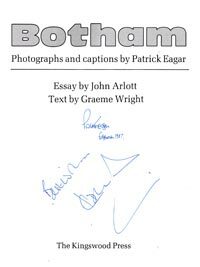 Signed "My Autobiography - Don't Tell Kath"
Signed B&W picture in the First Edition of "Phoenix from the Ashes"
including statistical analysis of Botham's 149 not out in the second innings. 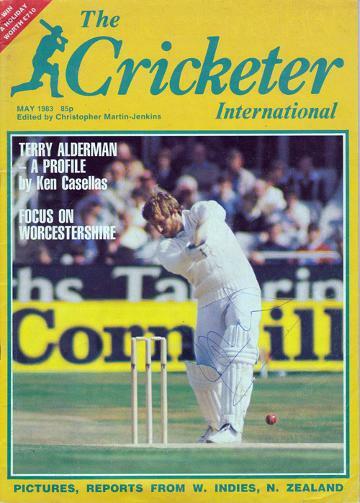 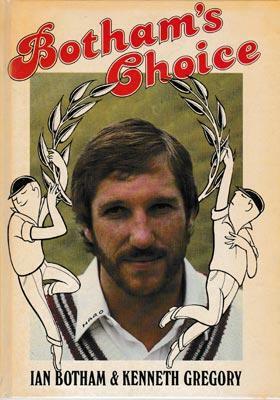 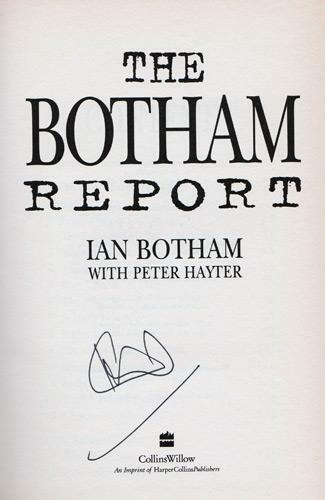 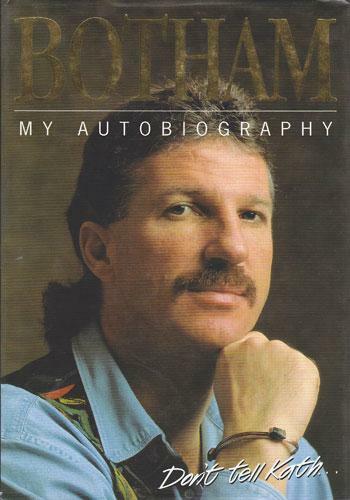 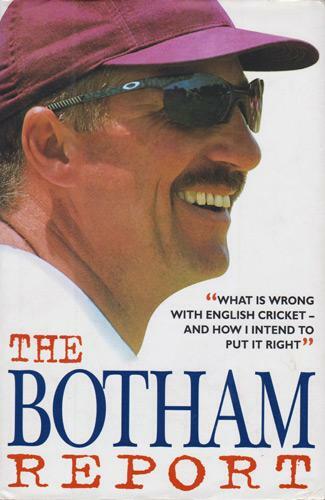 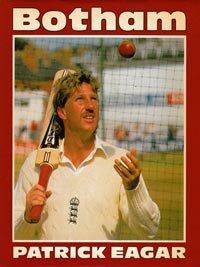 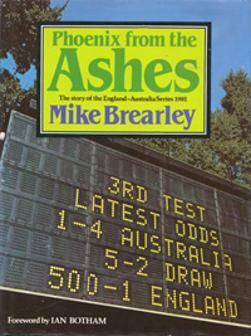 Botham wrote the Foreword for this book. 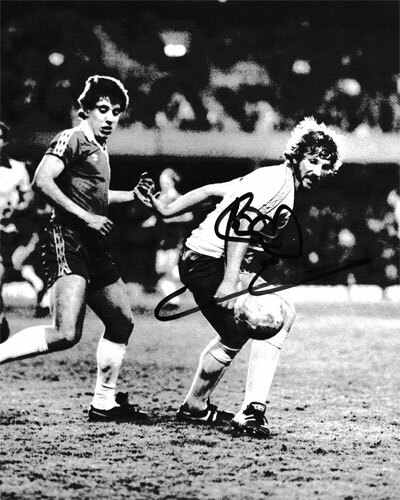 Signed B&W pic inside cover. 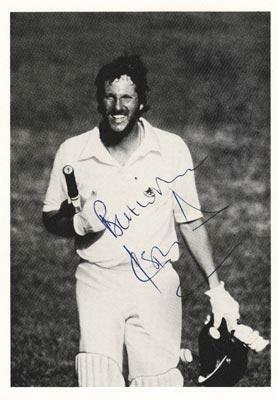 Signed B&W press photo of Botham playing in the Ron Harris Charity / Testimonial soccer match at Stamford Bridge in April 1980.